The industry has blossomed since the revolution, but the growth has been uneven. 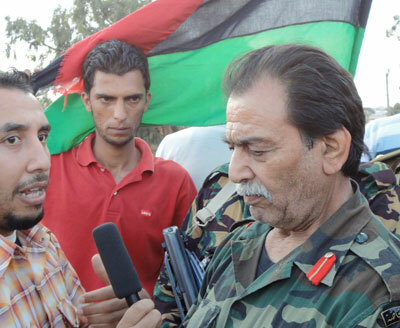 Media in Libya are undergoing the most fundamental changes in the history of the country. As it makes a transition from over four decades of dictatorial rule and a bloody yet inspiring revolution, it is no understatement to say that the development of traditional and new media will be one of the most critical steps needed in establishing a democratic, peaceful and prosperous nation. The international media played a major role in the success of the 17 February revolution. They helped to win the support of NATO and Arab countries, a key factor in gaining international recognition for the NTC as well as military and economic support. Under the Gaddafi regime, media were more highly centralized with most studios and bureaus located in Tripoli, depriving the revolutionaries of access to a state broadcaster. Al Jazeera was the channel of choice for the NTC when it wanted to communicate with Libyans. The creation of Libya Ahrar, based out of Doha, was the first ‘free’ Libyan station to be carried on the important Nilesat satellite and, along with Libya Al Hurra, the first channel to be broadcast from free Libya (Benghazi), attracted viewers and made important contributions. The immediate blossoming of a new Libyan media was in Benghazi, where over 100 newspapers and magazines sprung up during the revolution, staffed by eager young volunteers with little or no past experience and facilitated by a free printing press. Distribution channels were weak, and only a handful of publications built a clear brand and a loyal following, but the spirit of those embarking on this new career path was arguably as important as the output that they delivered. People were free to write what they liked, and they grasped the opportunity with both hands. With the liberation of Tripoli and the killing of Gaddafi, the media in Libya has expanded in a number of directions, with little interference or support from the NTC. While the independence of the media should be applauded, there are a number of structural and policy decisions that will have to be taken to resolve a growing number of knotty issues. First and foremost, media today are operating in a legal vacuum. Law No 76, with provisions for the creation of newspapers and magazines under the control of the government, is completely ignored. As a result, media is entirely free, with no rules or regulations setting out standards or licensing criteria, and no legal framework for those committing libel or slander. Media outlets have simply sprung up and have had no guidance from the NTC on what is expected or allowed of them. Secondly, the legal vacuum has left the role of the government, and its relationship to state owned and privately held media, unclear. Under the Gaddafi regime, an umbrella of various organizations controlled the media. These organizations handled the foreign media, as well as promoted the officially sanctioned press, culture and other functions. State employees in the media sector number over 6,000, and many have either not returned to work or are simply sitting in their offices with nothing to do. The new government may need to study and evaluate the role of these employees and integrate them into a new system that will not see the same complete dominance of the state. Many may find themselves without their old jobs. In a similar vein, the state television channel, Libya TV, and the newspaper, February, are funded by government money, giving them an advantage over private stations. The current dearth of both media laws and established institutions poses many challenges to Libya, but it also provides an opportunity: to develop a framework in which media can play an integral and productive role in a robust democratic society and a thriving 21st century economy.